To find photos, other places to visit, maps, and tourist information, use the Minneapolis journey maker app . Phoenix to Minneapolis is an approximately 5.5-hour flight. You can also drive; or take a bus. Due to the time zone difference, you'll lose 1 hour traveling from Phoenix to Minneapolis. In July, Minneapolis is colder than Phoenix - with highs of 83°F and lows of 65°F. Finish your sightseeing early on the 3rd (Wed) so you can travel to Detroit. On the 4th (Thu), examine the collection at Greenfield Village, see the interesting displays at The Henry Ford, then admire the masterpieces at Detroit Institute of Arts, and finally explore and take pictures at Comerica Park. For reviews, more things to do, ratings, and more tourist information, you can read our Detroit trip planning tool . You can fly from Minneapolis to Detroit in 4.5 hours. Other options are to do a combination of flight and bus; or drive. The time zone difference moving from Central Standard Time to Eastern Standard Time is 1 hour. In July in Detroit, expect temperatures between 82°F during the day and 65°F at night. Finish your sightseeing early on the 4th (Thu) to allow enough time to travel to Indianapolis. Start off your visit on the 5th (Fri): have fun and explore at Children's Museum of Indianapolis, then test your problem-solving skills at popular escape rooms, and then have some family-friendly fun at Bad Axe Throwing. To find maps, ratings, traveler tips, and more tourist information, go to the Indianapolis online driving holiday planner . You can fly from Detroit to Indianapolis in 4.5 hours. Other options are to drive; or do a combination of flight and bus. In July, plan for daily highs up to 83°F, and evening lows to 65°F. Wrap up your sightseeing on the 5th (Fri) early enough to drive to Chicago. On the 6th (Sat), explore and take pictures at Wrigley Field, then get to know the fascinating history of Millennium Park, then admire the masterpieces at The Art Institute of Chicago, and finally admire the landmark architecture of Skydeck Chicago - Willis Tower. To see ratings, photos, traveler tips, and tourist information, refer to the Chicago trip builder site . Getting from Indianapolis to Chicago by car takes about 3.5 hours. Other options: fly; or take a bus. You'll gain 1 hour traveling from Indianapolis to Chicago due to the time zone difference. Expect a daytime high around 83°F in July, and nighttime lows around 67°F. Finish your sightseeing early on the 6th (Sat) to allow enough time to take a train to Milwaukee. 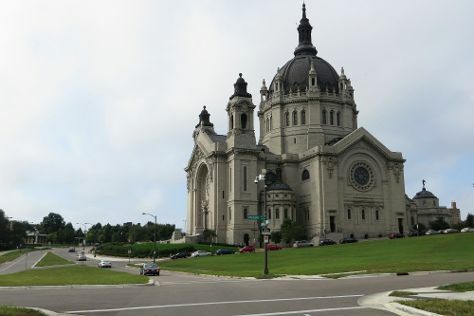 Start off your visit on the 7th (Sun): see the interesting displays at Harley-Davidson Museum, admire the landmark architecture of Basilica of St. Josaphat, then explore the world behind art at Milwaukee Art Museum, and finally sample the tasty concoctions at Lakefront Brewery. For more things to do, other places to visit, reviews, and more tourist information, read Milwaukee online tour planner . You can take a train from Chicago to Milwaukee in 1.5 hours. Other options are to drive; or take a bus. Expect a daytime high around 80°F in July, and nighttime lows around 63°F. Finish your sightseeing early on the 7th (Sun) so you can travel back home.